The Adolphus opened in 1912 as Dallas’ first luxury hotel. The property's stately and elegant rooms have hosted the rich and famous and even royals for decades. 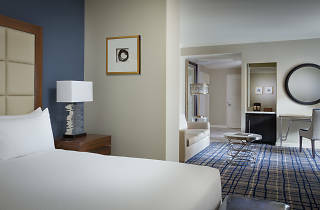 The newly renovated suites have a comfortable sitting area with two TVs, free high-speed Internet access, lavish furnishings, modern amenities and King size beds. 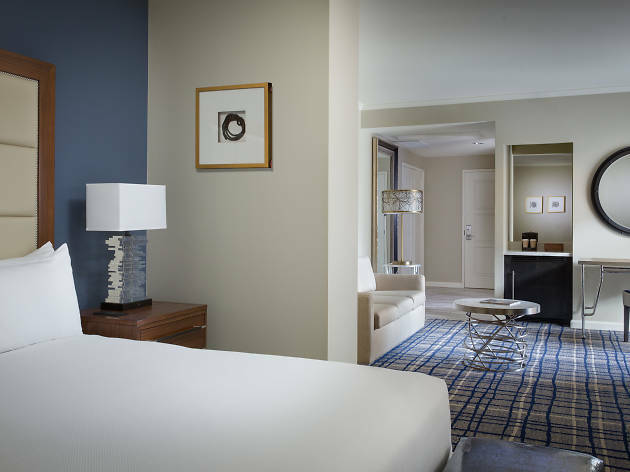 You can choose from five different floorplans for your luxury suite. All the rooms are non-smoking and pet-friendly. The Adolphus also offers many dining options, including upscale restaurant and bar The French Room, the Texas-inspired Rodeo Bar and all-day bistro and bar, City Hall. Cool down in the rooftop pool with sweeping views of downtown; head to the fitness center where you'll find complimentary fruit and water to fuel your workout; relax by the fire with a signature cocktail; pamper yourself with a treatment at the newly minted spa.